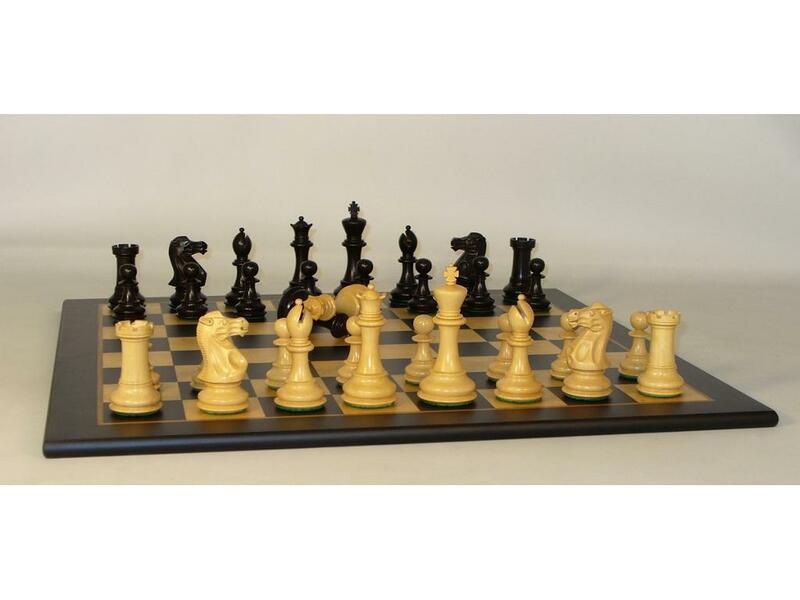 Chessmen: 4" Classic Black & Natural Boxwood Chessmen, Double Weighted/Felted, Double Queens, Beleved 1.75" base Chess Board: Black & Madrona Burl Inlaid Veneer Board, Round edge 2 1/4" sq. Page P4287 Copyright © 1999-2019 GammonVillage Inc., USA. All rights reserved.